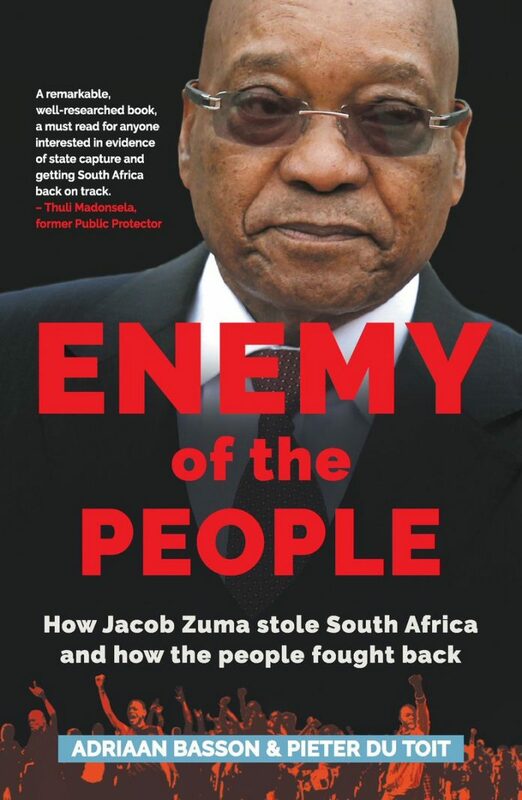 ENEMY OF THE PEOPLE, by Adriaan Basson and Pieter du Toit, is the first definitive account of Zuma’s catastrophic misrule, offering eyewitness descriptions and cogent analysis of how South Africa was brought to its knees – and how a people fought back. When Jacob Zuma took over the leadership of the ANC one muggy Polokwane evening in December 2007, he inherited a country where GDP was growing by more than 6% per annum, a party enjoying the support of two-thirds of the electorate, and a unified tripartite alliance. Today, South Africa is caught in the grip of a patronage network, the economy is floundering and the ANC is staring down the barrel of a defeat at the 2019 general elections.